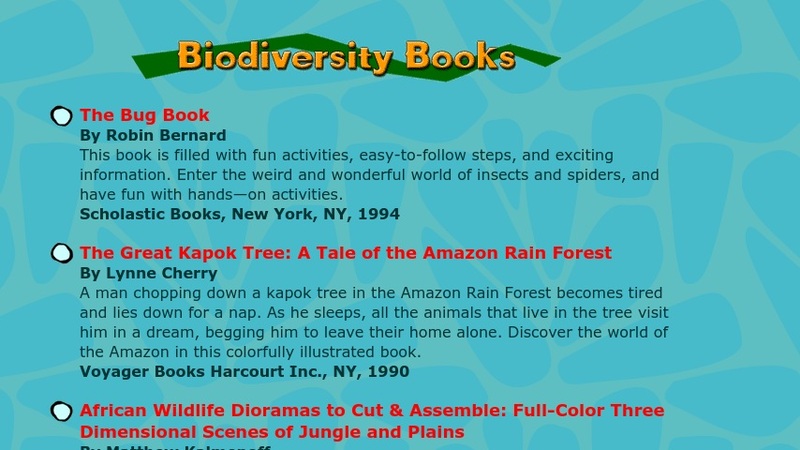 This reference list has a dozen kid-friendly books on a wide range of biodiversity topics. For each title, the author, publisher, and publication date are included along with a brief description of the book. The list includes field guides and other reference books to help students begin exploring plants, insects, birds, and other living things, easy-to-complete activities to bring the importance of biodiversity home, and engaging stories that introduce students to cultural tales that celebrate biodiversity.